After much hard work, the split is finally ready and will be released on Friday 8th March 2019. It will be available as a download on the Lucifer’s Fall and Myopic Empire bandcamp pages (each with a different running order) and will cost £4. It’s only a few weeks until you’ll be able to hear this long-awaited release, featuring the first new material from Myopic Empire since 2015! The artwork for the Lucifer’s Fall split has been revealed! The Mother Superior has created a great gothic piece with stunning typography. Hey doomsters, Devon here.  Time for an update on what’s up with the band: As of today, Myopic Empire is a solo project. James and I have parted ways so that I can continue this alone. It’s a long story, but the short of it is that what I want to do with this music is incompatible with it being a band. I much prefer recorded music to live music, and so I prefer making records to performing gigs. I do like gigging, but it is very much secondary to producing recorded material. This is very different to what James, and I think Tom before him, want to do. These folks really do enjoy gigging and James has even said to me that, for him, it is prioritised far above producing recorded material. We gave it a go, but in the end we just want different things out of being in a band. It’s sad to part with James, who has been a great comrade for the last few years and is a fantastic musician. I know I learned a lot from him. Thank you James, and good luck for the future. As for Myopic, you can expect lots of cool things to emerge in the near future, details of which I’ll post at the appropriate time. Why not get a new band together? I think my personality makes it hard for me to do that for a project where I do most of the writing. I can see myself being in someone else’s band quite easily, but when it comes to writing my own songs, I find it hard to allow other people in on the creative process. In the future of Myopic, I plan to work with other musicians, but on a more ad-hoc basis, recruiting people to play certain bits on certain songs. This way I retain control over my ideas while working with other people whose talent I admire. The end result should be quite focused and possibly quite intense as a listening experience. Thanks to everyone who has supported the band so far and I hope you are as excited as I am about what’s to come – mostly much less gigging and a lot more recorded output! As I embark on a new chapter of the musical journey of Myopic Empire, it makes sense to start with a fresh canvas on which to unveil the work, and thus this website was born. I hope to be able to make regular posts to show you what’s occurring ‘within the Empire’ and host the results of my hard work. Stay tuned, and I should have some news soon!